Welcome to my projects page listing all the projects I'm currently working on and detailing my contributions to other projects. phpSmug now has a new home. Please visit phpsmug.com and update your bookmarks. phpSmug is an award winning PHP wrapper class for the SmugMug API. The intention of this class is to allow PHP application developers to quickly and easily interact with the SmugMug API in their applications, without having to worry about the finer details of the API. phpZenfolio, like phpSmug, is a PHP wrapper class for the Zenfolio API. The intention of this class is to allow PHP application developers to quickly and easily interact with the Zenfolio API in their applications, without having to worry about the finer details of the API. 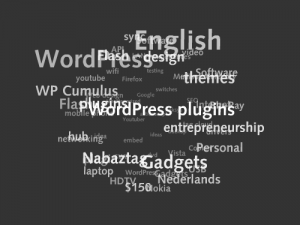 HB-Cumulus is a Flash-based tag cloud for Habari that displays your tag cloud in a rotating sphere. HB-Cumulus is a port of the brilliant WP-Cumulus by Roy Tanck. HB Audio Player is a highly configurable but simple Flash based MP3 player for all your audio needs. You can customise the player's colour scheme to match your blog theme, have it automatically show track information from the encoded ID3 tags and more. This is a port of the great WP Audio Player plugin by Martin Laine. The SmugMug Media Silo plugin implements a Habari silo to access your SmugMug photos making it easy to include images into posts and pages and also upload images directly to SmugMug.